Item # 303157 Stash Points: 1,995 (?) This is the number of points you get in The Zumiez Stash for purchasing this item. Stash points are redeemable for exclusive rewards only available to Zumiez Stash members. To redeem your points check out the rewards catalog on thestash.zumiez.com. 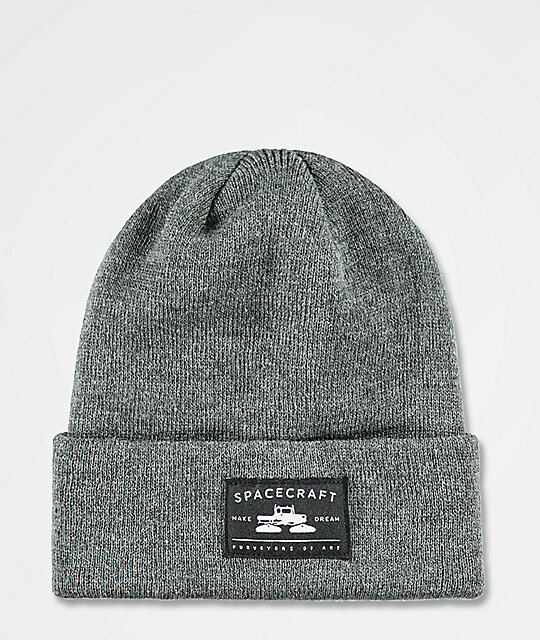 Get a clean winter look with the Spacecraft Otis Grey Beanie. This acrylic knit hat features an all grey construction and is highlighted by a large Spacecraft patch logo embroidered at the front of the cuff. Knit construction with fold-over cuff. Embroidered Spacecraft patch logo on the cuff. Hand wash gentle, line dry.